Hope this letter finds you in good health & spirit in Heaven. Over the years I have written a lot of letters to you along with the stories I sent for consideration for publication in my favorite magazine- Tinkle. You replied to each and every letter of mine. I was in school and had not understood what ‘rejection’ means. But, though your letters were Rejection-letters, you never made me realize the same as you always had such motivating and positive things to say in them. 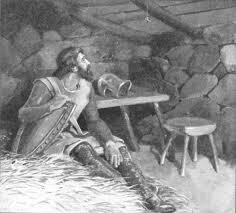 I learnt the story about King Bruce and the Spider thanks to you. From a young age, I learnt that if the King of Scotland can win back his Kingdom by learning the lesson – ‘Try Try Again’ from the Spider, then so can I! Just like my parents, even you are responsible for empowering me with the never-say-die attitude. I always believed that my story would, one day, be published in Tinkle. I kept on sending my stories and you kept on replying, sending inspiring letters. Then, D-day arrived when I was in Class VI. I can never forget the day as I finally got the Acceptance-letter from you! You had selected my story ‘MAGIC PUMPKINS’ for publication! Finally, after so many months of ‘trying’! I learnt that hard-work does bear fruit! I was on Cloud Nine when I grabbed the copy of Tinkle where my story graced the Cover-Page! I got a royal amount by money order- the first earning of my life! After that, there was no looking back! The number of Rejection-letters grew much lesser as you selected almost all the stories I sent for publication! Thank you so much for that! You worked wonders for my self-esteem. Tinkle gave me my share of limelight and fame at School and College where I earned admiration & respect as I was a story-writer for Tinkle! As the stories also carried the address of the writer, we had some guests who visited my home to meet and congratulate me! I am very grateful to you and Tinkle for the loads of fan-letters I got. I have saved each and every letter like my treasure. Even now I get some, though the frequency is very less! And yes, I got International mail too- Tinkle is loved all over the world! I was very happy to get foreign postage-stamps for my Stamp-Collection! You will be happy to know that my child is a great fan of Tinkle too. 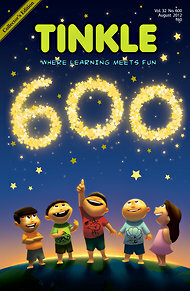 Her drawing was selected amongst the Top-6 for the 600th issue of Tinkle! 12 days ago, on Teacher’s Day, @TinkleDigest had a contest on Twitter- #TinkleTaughtMe. 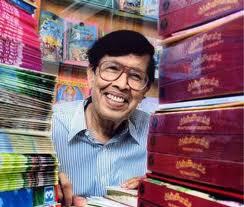 I was thrilled as I have learnt so many things from Tinkle and from you. That day I thought I’d dedicate a Blog-post to you and Tinkle on the occasion of Teacher’s Day. I was busy tweeting for the same contest as I really wanted to win it! Today, on your birthday, the result has been declared! Yes! I am the Winner! Today, @amazonIN had a Quiz - #UnclePaiQuiz dedicated to you on Twitter. 10 Questions were asked. 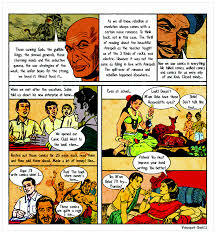 The 5 winners of the same contest will win 50 Amar Chitra Katha issues each! The prize is soooooo wonderful! There was no missing it! I knew some answers & researched the rest online. Yes! I have answered all correctly! Hoping to win the awesome prize! Always happy to get Tinkle and Amar Chitra Katha as my prize! I spent the whole evening reading about you. My knowledge about you and my respect for you has increased! Your achievements are exemplary! You made history while retelling History, Indian Mythology & Culture. Thank you for making our lives so wonderful! Thanks Titas! Great to learn! We all have literally grown up with Tinkle & are fans even now! Tinkle rocks! Thanks to Uncle Pai.